At FH Gizmos, our 6th grade edcorp, our slogan is your problem is our project. It turns out, however, that our own problems turn into our projects, too. Over a year ago, FH Gizmos was hired by Slack to create a desktop toy for their employees. During the initial phase of our Slack design project, students worked together to create 12 desktop toy prototypes to send to Slack so they could vote on their favorite. While the prototypes were out at Slack for review, we emailed every address we could find associated with New Jersey’s Manufacturing Extension Program (NJMEP), a non-profit dedicated to innovating manufacturing in NJ. We emailed them because we wanted help finding manufacturers who could turn our prototypes into real, finished products for Slack. The people who responded to our emails at the NJMEP couldn’t have been nicer. 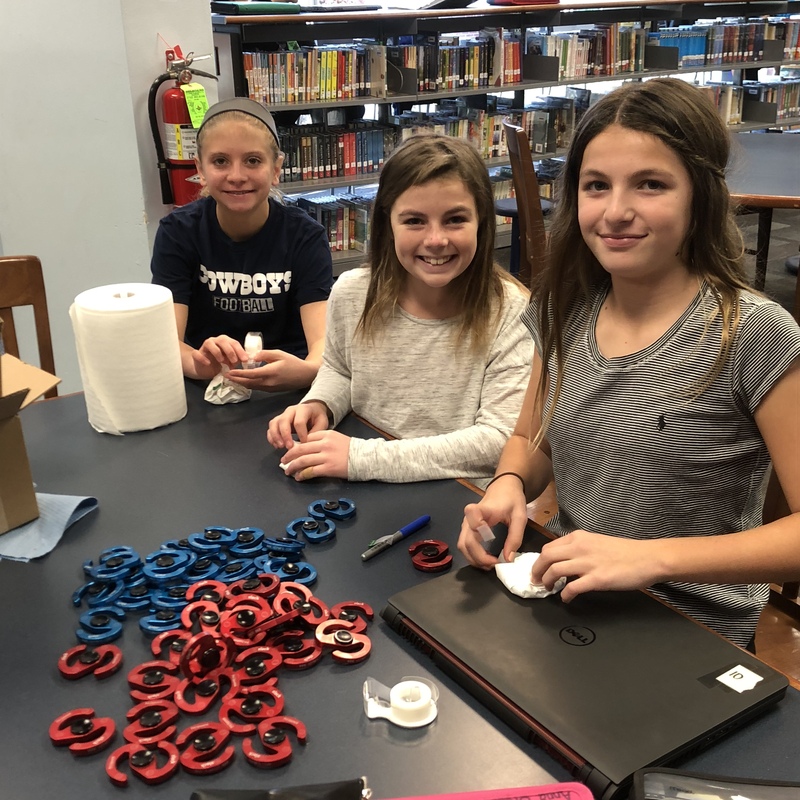 They loved the idea of turning students’ prototypes into real products and saw it as a way to raise awareness for New Jersey manufacturing, which has been hit hard in recent years, while also teaching students about the manufacturing process and potential careers in the field. The NJMEP introduced us to a machine shop that said they would love to help. 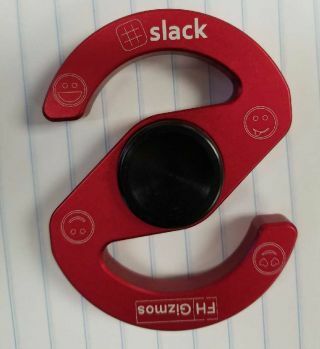 Around this time, word from Slack came in that the S-shaped fidget spinner was their favorite prototype. 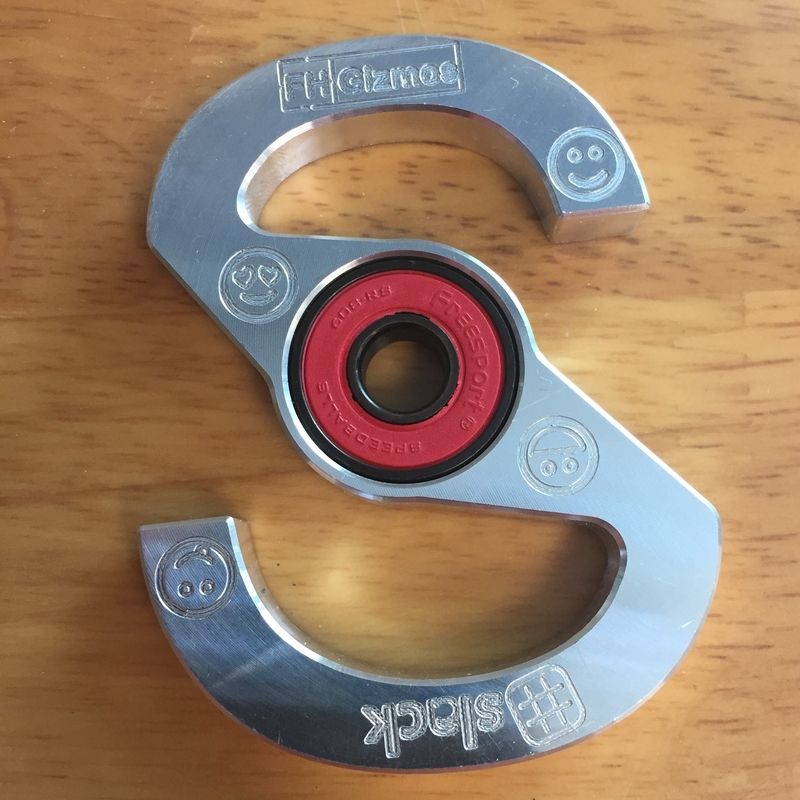 We sent pictures of the S-shaped prototype to our manufacturer and within a month or so, on June 19th to be exact, we got the first of the 100 S-shaped spinners we ordered. The kids were excited, I was excited, Slack was excited – and then school ended. We had told Slack we would have the fidget spinners to them by the last day of school. We had missed our deadline. While I was disappointed the kids wouldn’t be able to send Slack the finished fidget spinners themselves, I figured I would just box them up and send them and share the pictures with them. But a week went by, then a month, then it was August. We still only had one fidget spinner. The machine shop who agreed to help us kept giving me reasons why they were behind, until one day in August he simply said he had to close his shop. We had just gone from fulfilling a manufacturing contract with a huge client to being back where we started in June. Slack, let it be known, was nothing but wonderful and understanding through this whole ordeal. They too understand how much authentic learning projects like these can teach students, but I can’t lie: I was crushed. I don’t like failing. But, in the spirit of what I teach my students throughout our design process, I tried to learn from this failure and turn it into an opportunity. To start this school year off, I explained to my returning FH Gizmos Innovators the situation we were in. Together, we drafted an email to the NJMEP explaining what happened, and a pitch for them to share with any potential manufacturers who wanted to work with us. In late September, we heard back from VEP Manufacturing who not only said they would remake the S-shaped fidget spinners on rush, but that they would cover all the cost for the first 100 we ordered. Two months later, we got our finished products and finally filled our order for Slack. I share this story because it is a great reminder that the struggle is real learning. Doing great things, big or small, often takes a long time and doesn’t follow a perfect path. The authentic learning my students do in Fair Haven Innovates is often messy and imperfect. It can be hard and confusing. The correct path is often unclear, if there even is a correct path. Such is life. By allowing students to experience the struggle, they get to use everything they’ve been learning in school’s silos, in an authentic context while also developing the soft skills they’ll need to be successful. I started working on long term, authentic learning projects like this with my students way back in 2013 with The Be About It Project. Then and every time since, not one project has ever been completed without a struggle. Persisting or pivoting through obstacles is something every student should have the opportunity to practice before they get into the “real world.” In fact, I long for the day that I don’t have to put real world in quotes when talking about the learning done in school because school will have been updated to be more like the real world, full of real and relevant learning for students. Further, the beautiful thing about the struggle is that the struggle comes with opportunities. Through documenting our progress with Slack on social media over the year we were working on the project, FH Gizmos was able to land two more huge clients. I’ve mentioned before that my students having been pitching ideas to Barnes & Noble for the last four months. This week, students will make their final proposal to the regional buyer of B&N in an attempt to get them to carry our student-made products in their stores. On top of this awesome experience with B&N, we’ve just added another new client to the FH Gizmos portfolio: Skype! Last week my students interviewed Ross Smith, lead engineer for Skype in the Classroom, as we prepare to help Skype redesign Skype in the Classroom. Here’s what amazed me about our interview with Ross and the overall progress we’ve made in Fair Haven Innovates so far: when my kids started with Slack a year ago, many students were nervous and unsure they could complete a project of that magnitude. Now, the creative confidence and excitement for this big design project for Skype is much higher. Where I had to speed kids up with Slack, I have to slow them down with Skype. Further, both with B&N and Skype, it was sharing our stories of overcoming obstacles that impressed them the most and likely convinced them to work with FH Gizmos. Had we not struggled, we may not have been in a position to take advantage of these opportunities. Understand, the payoff of the struggle might not be immediate, but the lessons will sink in overtime for students because the struggle is real learning. Chris Aviles presents on education topics including gamification, technology integration, BYOD, blended learning, and the flipped classroom. Read more at Teched Up Teacher.